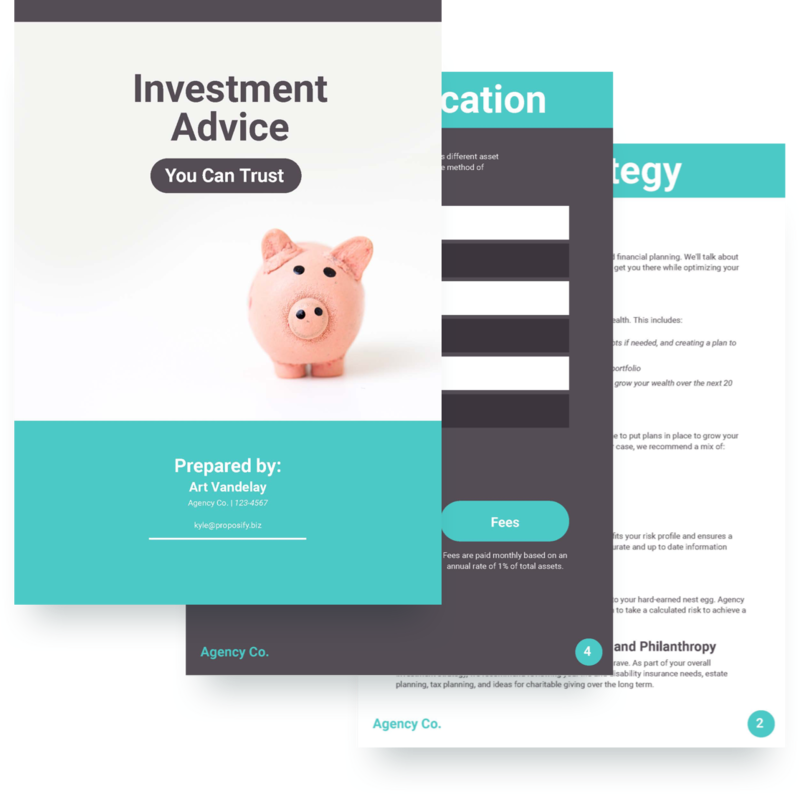 Investment and financial advisors can pitch investment plans, portfolio presentations, and services to potential clients with our free investment proposal template. Explain your objectives to potential clients, your strategy for learning their goals, and how you plan customized investments and financial strategies. 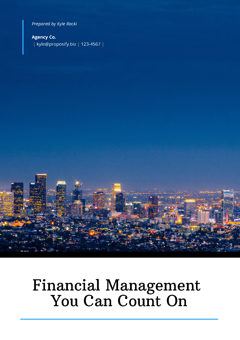 This business proposal sample also provides sections for proposed asset allocation, income projection, and fees. 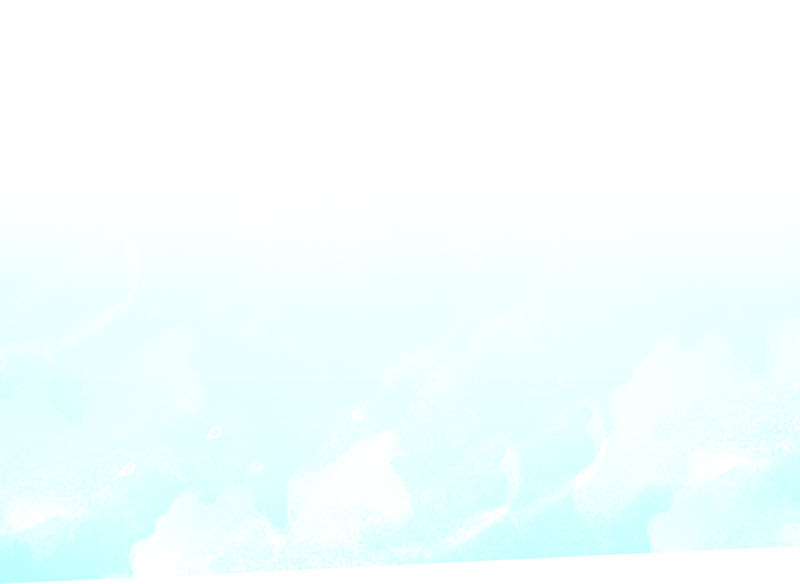 Missing a section you need? Add it in. 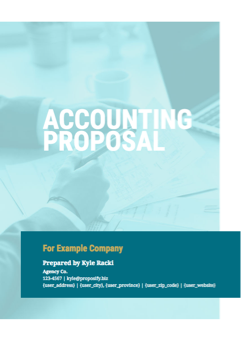 All of our proposal templates are 100% customizable, so you can edit the copy, design, images, and layout to fit your business, brand, and projects. Get client approval 60% faster with our online signature feature.